First time on the market for this one of a kind mid-century classic. 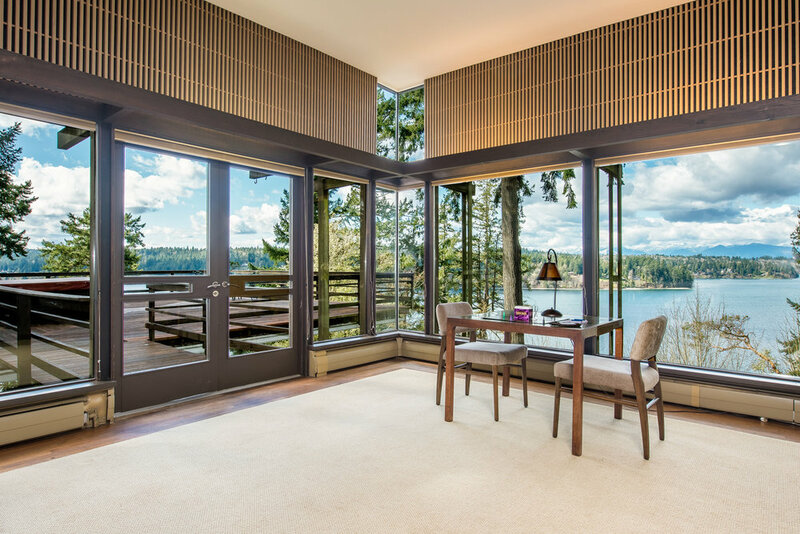 Northwest Modernist design features floor to ceiling windows overlooking stunning views of the water, Olympics and the surrounding forest. Sitting on 3 acres with 2 lots and over 175' of private beach, this was the personal residence of Jack Christiansen, the renowned engineer who helped shape Seattle’s skyline. Truly a rare opportunity to restore and be the next steward of a unique piece of Northwest architectural history! John V. “Jack” Christiansen (1927-2017) was a prolific, American designer of thin shell concrete structures. The “Christiansen House”, completed in 1965, was built using the four-sided inverted umbrella hyperbolic paraboloid style of thin shell construction. 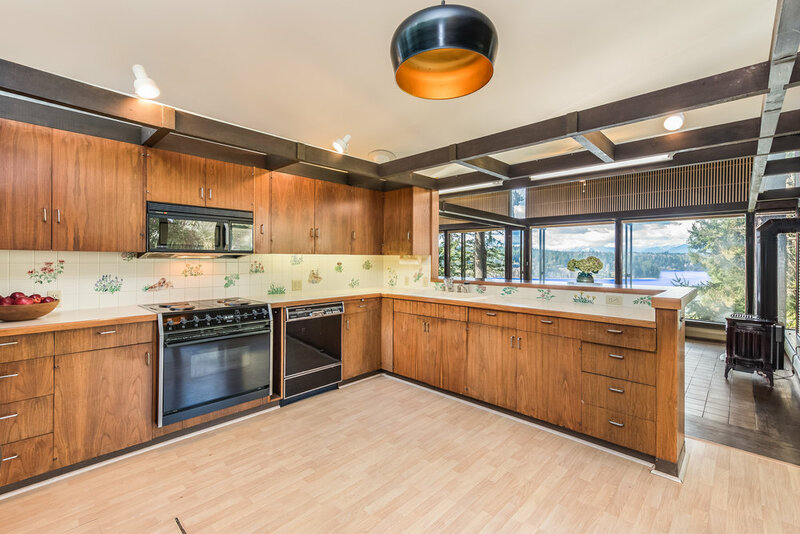 It is listed on the Bainbridge Historic Registry and always remained one of Christiansen’s most beloved projects. A recipient of the 2016 Eduardo Torroja Medal from the IASS, Christiansen built largely within the United States in the latter half of the 20th century - making him distinct among the global pantheon of concrete shell designers. Through the use of innovative, reusable formwork systems, Christiansen proved the viability of shell construction in the Pacific Northwest, and became a significant creative contributor to the mid-century modern architecture of the region. Christiansen pushed his shell structures to unprecedented spans, culminating in the design of the Seattle Kingdome – an essential part of Seattle’s professional sports culture and the largest concrete dome in the world in its time. Christiansen remained dedicated to thin shell concrete throughout his career, as a preferred medium for his creative structural designs. Inspired by the published work of Felix Candela, Christiansen adopted the hyperbolic paraboloid geometry in 1957. Christiansen acknowledged the benefit of getting a doubly curved surface from straight-line formwork, and began composing structurally stable buildings as assemblies of warped panels. Working closely with architects in the Pacific Northwest, Christiansen began experimenting with the new spatial opportunities that the geometry offered.